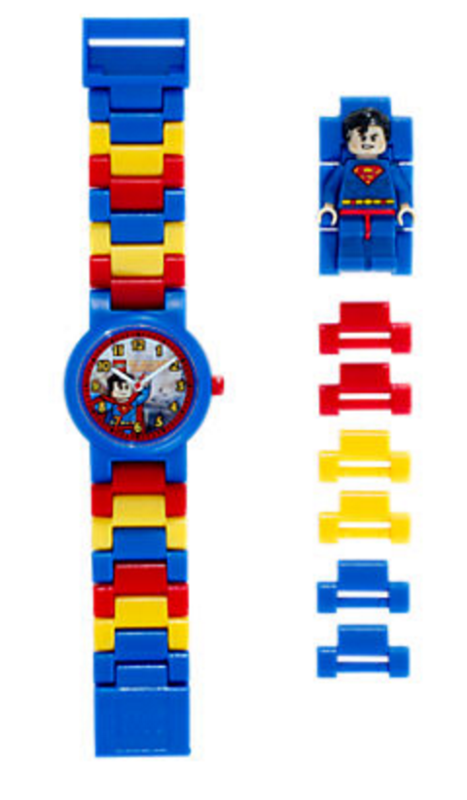 Build your own watch with LEGO® Superman™! Start with the illustrated face, then add links to build the watchband in any pattern you like. 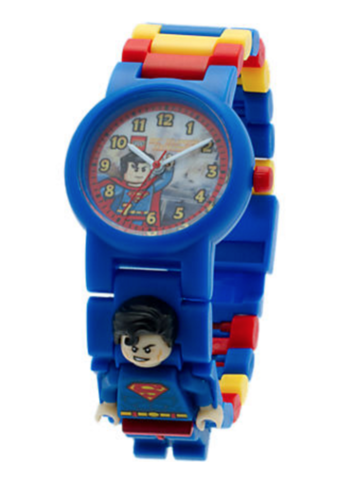 Add the studded or second-timing bezel and click into your personalized LEGO Superman gear! 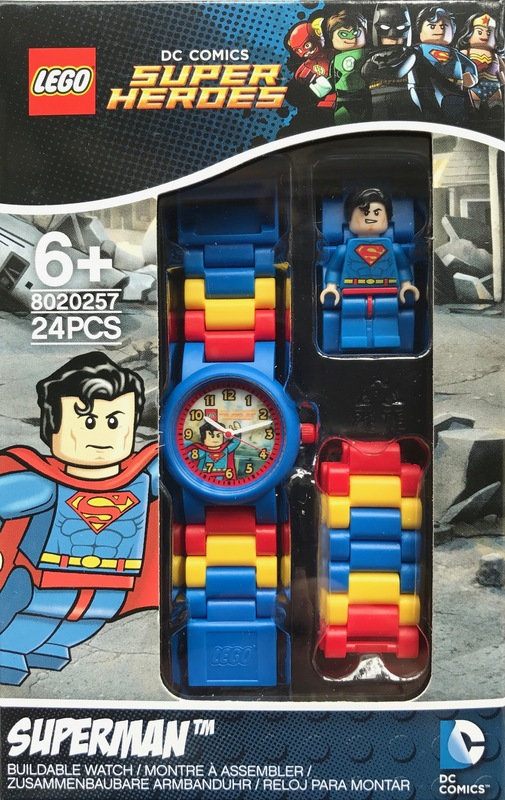 Includes an illustrated image of Superman on the face. Build the watch, then build the minifigure! Makes a great gift for LEGO Superman fans! LEGO ClicTime watches are tested to ISO standard 2281 to a static depth of 50m. 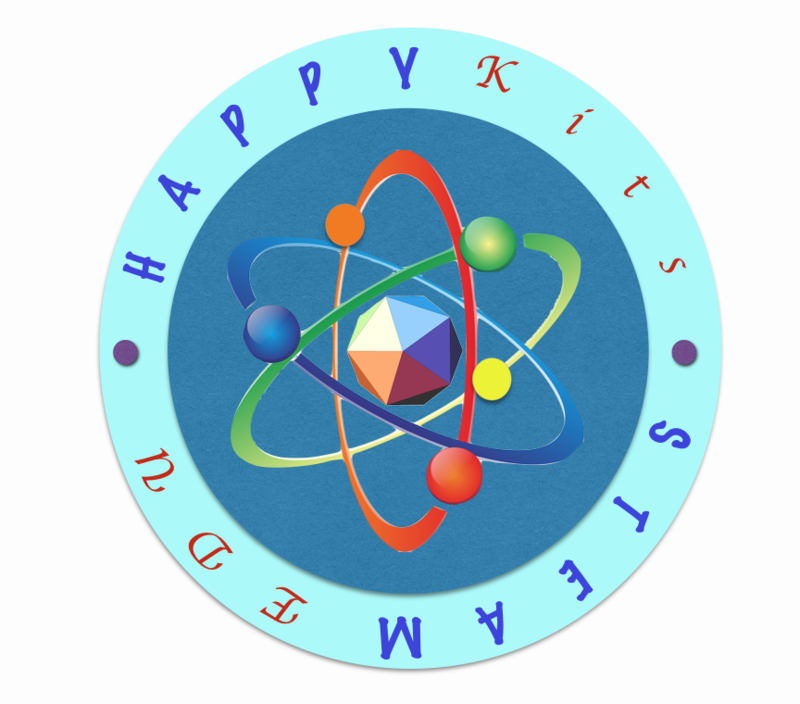 This means that our watches are splashproof.